Geshe Tenzin Wandak was born in Central Tibet in a small village called Mangra in 1972. After junior high school, he decided to go to India to study Buddhism. In the year of 1986, he became ordained and joined the Drepung Loseling Monastery. 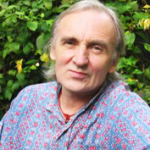 After the graduation, Geshe Tenzin Wandak left for Dharamsala and joined a three-year program aimed for Geshes at the Institute of Buddhist Dialectics (IBD) where he studied Chinese and English languages, Western philosophy, science, and world religions. Franziska Oertle was born in 1980 in Heiden, Switzerland. She completed her teacher training degree in 2003 and worked in that field for three years. Upon her first encounter with His Holiness the Dalai Lama in 2006, she moved to Bouddhanath, Nepal. Her aim was to – one day – be able to understand His Holiness in Tibetan. 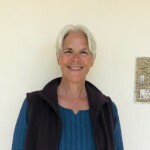 Immersing herself into the Tibetan language and culture by living with a Tibetan host family, she studied Buddhist philosophy and Himalayan languages at Kathmandu University (Rangjung Yeshe Institute – RYI). This career combined the two main interests and passions she has had since her youth: dharma and languages. After completing her 3-year B.A. degree in 2009, she worked as a Tibetan language instructor at RYI – teaching B.A. students as well as training students to be interpreters. Co-teaching classes with Tibetan colleagues, she gained a deeper interest and fascination about the unique Tibetan language and grammar. Therefore, in summer 2011 she defended her thesis on indigenous Tibetan grammar and received her M.A. degree. Her thesis is a concise introduction to the two main Tibetan grammar texts, the Sum Cu Pa and rTags kyi ‘Jug Pa. Since graduating, she has been teaching colloquial Tibetan language on various levels and institutions in Nepal and India. 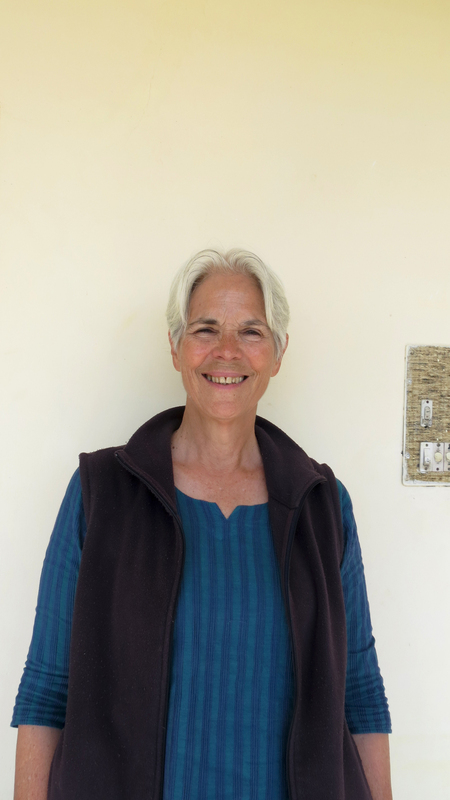 In spring, she teaches the Emory Study Abroad semester in Dharamsala, in the summer the RYI Intensive Summer Course, in autumn the fall semester for SIT (School of International Training) in Bouddhanath, and she currently lives and teaches at Sarah College in Dharamsala. Having the sincere wish to contribute something to the world of ‘Tibetan learners’ as well as the preservation of an endangered language, she is writing a Tibetan Colloquial Manual. Unlike other textbooks, it takes the approach of synthesizing traditional indigenous Tibetan grammar and modern contemporary teaching methods. This work reflects her modern teacher-training background as well as the traditional Tibetan education she has been fortunate to receive. 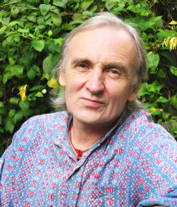 Gavin Kilty spent 14 years in India studying with Tibetan teachers. Eight of these years were spent at the Institute of Buddhist Dialectics Studies in Dharamsala set up by HH the Dalai Lama, where he completed the major part of the Tibetan monastic curriculum in the medium of the Tibetan language. He now works full time as a Tibetan to English translator of Tibetan texts, and teacher of Tibetan language in India and Nepal. His translations include the Kālacakra overview, Ornament of Stainless Light, the history of Tibetan medicine, Mirror of Beryl, an overview of the five stages of the Guhyasamāja, Lamp to Illuminate the Five Stages by Je Tsongkhapa, and the devotional poems of Tsongkhapa, Splendor of an Autumn Moon. Tica Broch was born in New York, she went to primary school in Havana (bilingual English-Spanish), and did her secondary schooling in Geneva and Grenoble, France, where she obtained her “BAC Philo”. Afterwards she received degrees from Geneva University as “Tradutrice” (translator) and later as “Interprete Parlementaire” (Parliamentary Interpreter). Tica joined the United Nations in Geneva in 1970; she traveled extensively with the United Nations and other missions interpreting in simultaneous and consecutive modes from and into English -French – Spanish for 39 years. Tica was Kofi Annan interpreter for years. Tica retired from the United Nations headquarters in 2009.
from 1987 to 1997, Tica interpreted for His Holiness the Dalai Lama on several visits to France and Spain. She interpreted during the “Prix de la Memoire” and on various French and Spanish TV shows for interviews with His Holiness the Dalai Lama. Tica has been studying Buddhism since 1977 and she speaks and understand Tibetan. she now lives in Dharamsala. Tica will teach in the second year of the program interpreting skills and practices.